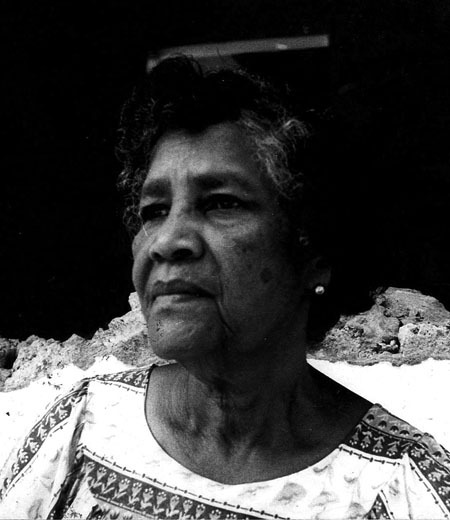 Alimenta Bishop, mother of former slain Prime Minister Maurice Bishop, died on Saturday, without knowing what happened to the remains of her son and where they are located. The 97 year old who was ailing for some time, was among the dignitaries in 2009 who witnessed the ceremony in which the then ruling National Democratic Congress renamed Grenada’s international airport in honour of her son. The Point Salines International Airport was changed to Maurice Bishop International Airport. In 2005 Mrs Bishop called on the authorities to release her son’s body to her for a proper burial. “Every time I ask why can’t I get a word about my son’s body, they saying to forgive. But I am saying how can I forgive when I don’t have results about my son,” she said back then. “Every year I get upset about the same thing,” she said, noting that even Jesus Christ, when he was crucified, “his mother was able to get his body to bury, but when I ask what happened to my son, nobody would tell me”. Bishop, whose left wing People’s Revolutionary Government (PRG) came to power in 1979 after successfully overthrowing the then administration of Sir Eric Gairy, in the English-speaking Caribbean’s first-ever coup, was killed four years later on 19 October as a result of infighting within the PRG. A date is yet to be set for her funeral.